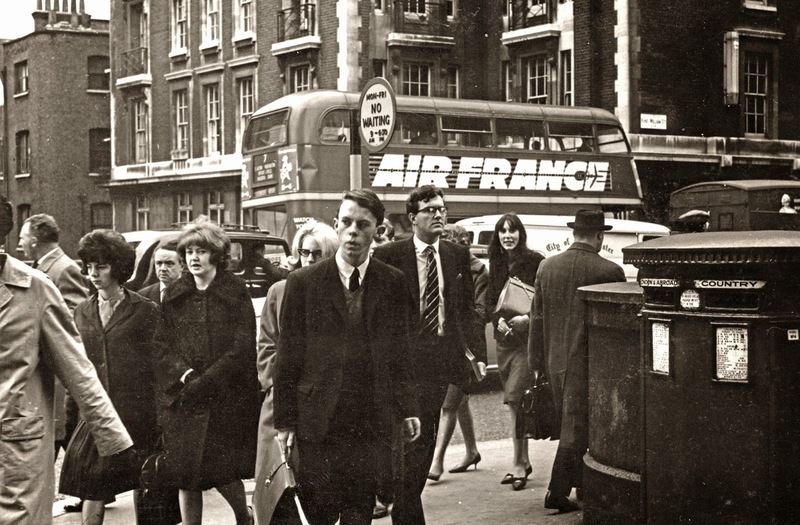 There four photographs were picked up at a local vintage shop. They were a bit battered, but the subjects made the 50p paid for each worth it. A trip through Photoshop soon tidied them up. 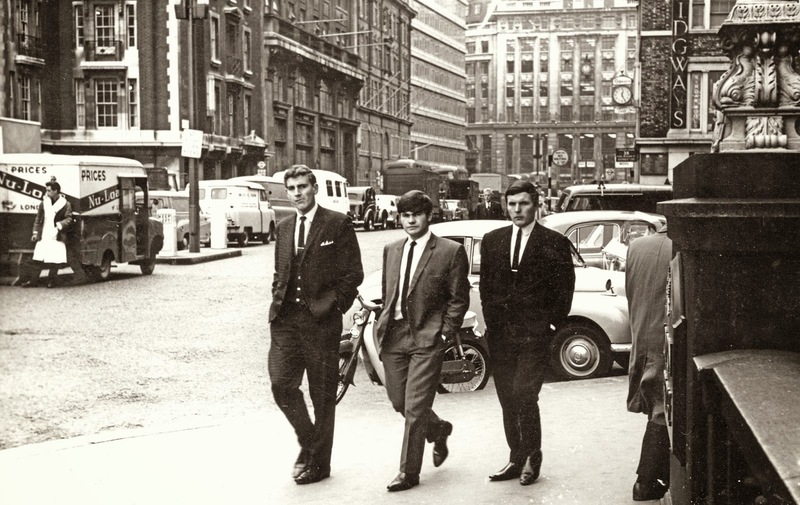 They were taken around the City of London during the 1960s, the photographer unknown, the reportage style typical of the time. 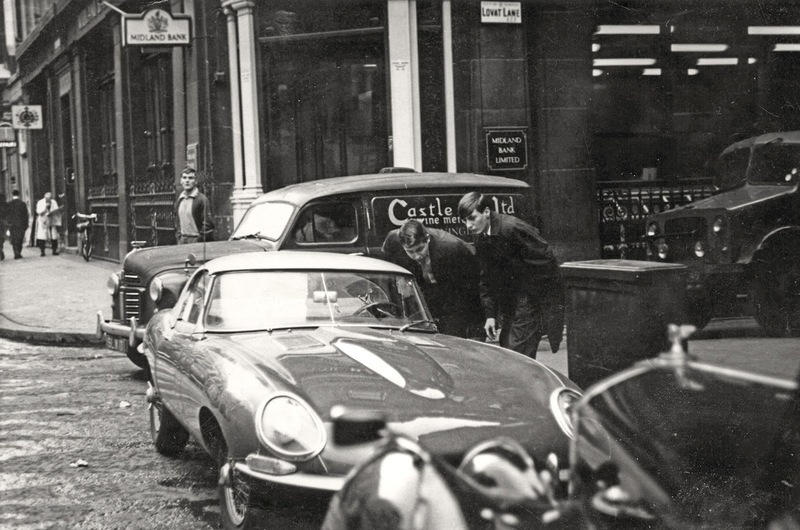 The top view of three be-suited lads was taken at London Bridge, the second is of a couple of boys closely examining a left hand drive Jaguar E-type on Eastcheap. 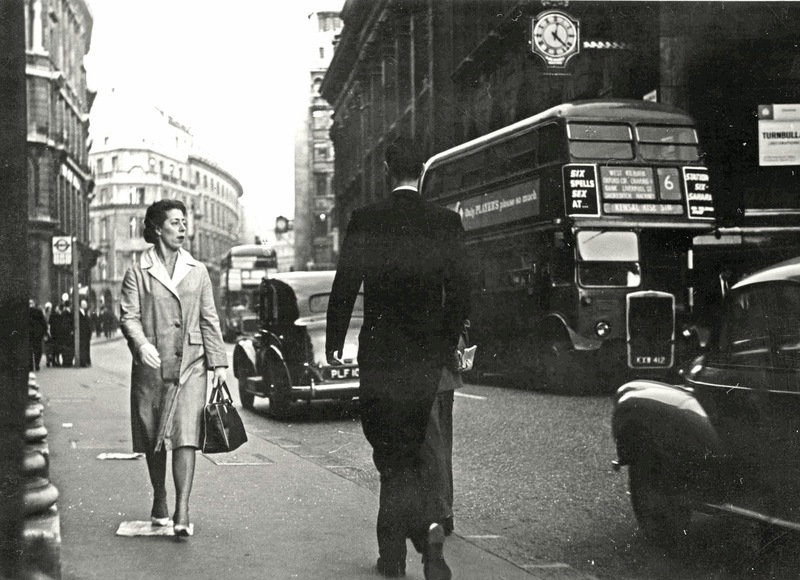 The third view shows workers at the top of King William Street, whilst the last shows a lady glancing over at traffic which included London Transport RTW312 on route 6 which I think would date these pictures to 1962-64.